If you operate within the digital ecosystem, you’re probably familiar with the problem of lost visitors, customers or subscribers. It might even be your biggest bugaboo. These visitors interact with your site, put items in the cart, and suddenly they’re gone. They disappear just before the finishing line, conversion. Does this mean they are lost for good? Not necessarily. 96% of website visitors leave without completing the action the marketer wants them to take. Whether they leave because of their short attention span, banner blindness, or simply change their mind, you can still win them back. You have to keep your brand fresh in visitors’ minds. The key is to reconnect with them in the right way. This way is called remarketing. Or as some call it, retargeting. In fact, there are as many opinions as there are specialists when it comes to these terms. Marketers use them interchangeably as the lines between them are quite blurry. It’s rather an issue of names. Both of them mean a marketing method used to re-engage with site visitors (customers) so they complete the desired action. Remarketing is a powerful strategy as it covers an array of actions, the subtle and more open ones. They happen both on-site and off-site. It’s just a matter of your goals, requirements, creativity to apply them both so they will complement each other and bring you the expected results. But to make that possible you need the right tools, so web analytics for remarketing is a must. We’ll discuss the choice of technology later in this post. What is on-site and off-site remarketing? Showing personalized offers to visitors based on their preferences to keep them at your site is on-site remarketing in practice. However, you can take your remarketing or retargeting strategy beyond your website. For instance, you can run campaigns on paid media channels that simply display personalized ads to users who have already shown an interest in your products. Or, you can send personalized emails with tailored content encouraging visitors to complete the desired action. You can also retarget desktop site visitors while they browse social media channels on mobile devices. This is off-site remarketing (or retargeting, if you prefer) in practice. Of course these are just a few standard examples, but a total strategy depends on your resources and – even more importantly – your imagination. At first, meeting those goals seems like a daunting challenge. But with a sound strategy it’s one you can easily handle. In this post we’ll share some practical tips that you should follow in this scenario. You know the theory, so let’s focus on putting it into practice. Where can you apply this knowledge? Or in other words, where do people on your site or channel need some spur to act? Let’s have a look at some remarketing examples in operation. Every piece of information you have about people visiting your site, interacting with your channel, or coming to your store is valuable. It lets you retarget them efficiently and precisely. As we’ve already said, remarketing relies on relevancy, being able to reconnect with your audience by providing content that resonates with them. For instance, you should recognize and distinguish a new visitor from a lead. This is essential because their needs and preferences are different, meaning your goals are different as well. As far as new visitors are concerned, you want to build brand awareness. You can do this effectively by offering a free guide. The returning visitor, on the other hand, has already expressed some interest in your product or service, and has different expectations. Now the ball’s in your court, so display a strong call-to-action, make them request a demo, and hook them with your product. Let’s try another scenario. A visitor lands on your product site, obviously with some interest in your offer. Although your site has everything in place – compelling content and sleek design – your visitor leaves. It turns out they’re not ready to seal the deal. You don’t need to know the exact reason. But you do need to keep them on your site, reminding them why your product piqued their interest in the first place. This is the moment you trigger exit intent pop-ups. You don’t want to be too pushy with your offer. 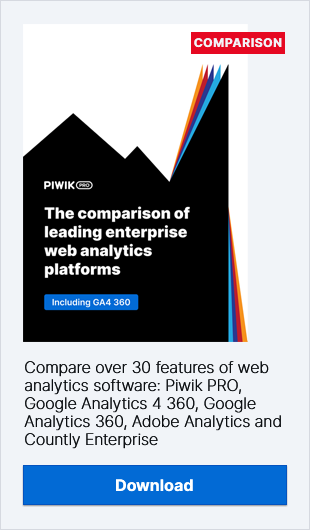 You just give them a subtle nudge by displaying an ad for a free download of a vendor comparison in your field. That’s how you provide an incentive for visitors to return to your offer in the future. The problem of shopping carts abandoned by customers without finalizing the purchase is a frequent e-commerce nightmare. That said, they’re not lost causes. There are various ways to tackle them with remarketing and analytics. Keep reading to learn about a couple of them. First, you run a paid display campaign showing a discount banner with a promo code. Then, you launch a paid display campaign with dynamic content that automatically creates ads using products from the cart. Finally, you send emails reminding the visitor of the items they left in the basket and encouraging them to buy. Such messages can be a marketer’s allies. As research by Sherpa has found, 51% of consumers find them helpful. As you can see, our audience was narrowed according to specific criteria. This let us reach precisely-selected segments to ensure better relevancy. We displayed the banner you can see below to promote the conference, and those visitors were redirected to the sign-up landing page. Finally, you can use a remarketing list to create broad search and display campaigns. Keywords are highly effective because they target only those site visitors or shoppers who are actually interested. For instance, if your company offers analytics software, you normally wouldn’t target the keyword analytics. You’d get too much irrelevant traffic. But, if you set targeting on users who have already landed on your page, and thus expressed interest in your services, you can easily broaden your campaign with keywords loosely related to your product. Then you can remind visitors about your special offer and also about your brand. First and foremost, if you want to be ahead of the game with your remarketing campaign, you need to know your customers and visitors. That goes without saying. But what, exactly, does it mean to know them? It means gathering data, information on the people browsing your site, sharing your content, and buying your products. Fortunately, today’s technology puts a range of efficient and robust tools at your disposal. The foundation for your technical set up is, of course, web analytics for remarketing, as it collects all kinds of data. It enables you to understand how your visitors landed on your site and what brought them to your shop. What’s more, you can learn what browsers and devices they use. Probably you’re wondering whether this data is really enough. Take our word for it: it’s enough. However, what you have to do next is to merge all this data into one piece. That’s why you need to expand your marketing stack with a customer data platform (CDP). Consolidating all these types of information lets you create a unified customer view. We call it single customer view. It works by merging all the information about your customer/site visitor into a single profile. The obtained profile is a cornerstone of your personalization strategy. What’s more, CDP was designed with marketers in mind, so no IT skills are required and you can easily manage the tool at your convenience. No more waiting with your hands tied for the IT team to help. Now it’s time to reach for a tag manager. This gives you control over the deployment and management of tracking pixels that allow you to reach precisely-selected audience segments. In other words, you serve the right ad to the right people. That said, the right ad or message is the one tailored to unique visitors. The tool which makes it possible is content personalization. It allows you to provide personalized experiences both off- and on-site to specified audience segments. 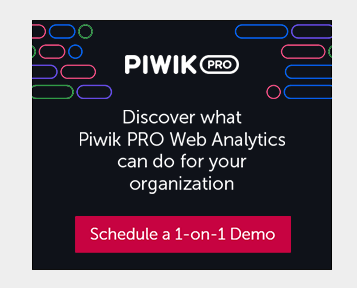 Then, you can re-engage with your customers and site visitors by presenting banners, pop-ups, and overlays to them throughout the remarketing campaigns. Segment your audience – If you want to create precisely-tailored ads that help re-engage your target customers and users, you need to choose your audience tactfully. 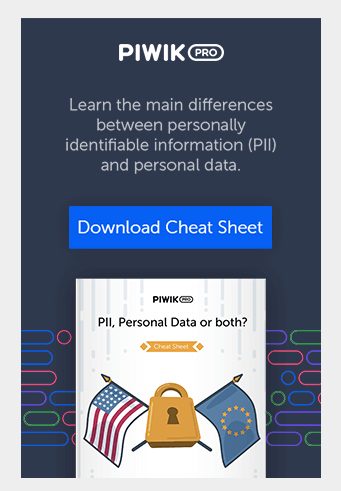 Someone who comes to your site for the first time can’t see the same ads as someone who has downloaded your free guide or made a purchase already. We’ve already talked about segmentation, so if you’re interested in some fine-grain details you should have a look at this post: On-Site Retargeting Strategy: The Essential Checklist. Personalize – Dig into your data sources and put it into practice. Make your message as relevant to the user as possible. Design your ads with consideration for geographic, demographic, and contextual factors. Speak your visitors’ language to spark their interest. Avoid overexposure – Whether you want to remarket to visitors at the top, middle, or bottom of the funnel, the timing is vital. Establish precisely how often you display ads to a particular visitor or customer. With frequency capping you can set a monthly, weekly, or daily limit on ad display. Not only you will keep your marketing budget under control, but you’ll also ensure that visitors won’t feel pestered. Think cross-platform – When you design your campaigns, keep in mind they need to work on a range of different devices, not just on desktops. For instance, when you send remarketing emails, the majority of recipients will open them on their mobiles. Make sure these messages render well on mobile devices to encourage users to take some action. Rotate creatives – No matter how great your creatives may be, if you keep showing the same one over and over again you can be sure your visitors will experience banner blindness. It’s crucial to refresh your remarketing campaigns regularly with new impressions. Use various channels — Your site visitors and customers jump from one device to another. You need to keep up with them when remarketing. You can retarget desktop site visitors while they interact through social media channels on their mobiles or tablets. Every channel is a new opportunity to reach out to your users and customers. Apply burn pixels – Save your budget and spare your customer the trouble of seeing ads for products or services they’ve already paid for. Use tracking pixels that remove people from a certain remarketing list after they convert. You’ve meticulously planned your campaign’s strategy, mobilized resources, implemented a bunch of tools and software, but is it worth it? Until you analyze your campaigns the right way, you’re lost about what to do next. We’ve come up with some practical considerations to guide you through campaign analysis. Then you can analyze if the campaign source (in this case Google) and medium (CPC) really are doing the trick. If the numbers are not the ones you expect you might consider another set-up. Since you probably want to dive deeper, it’s worth creating a proper segment to narrow down the traffic from your remarketing campaign. This shows you how your retargeting campaign works. When the numbers you see reflect your goals, then you know you’re on the right path and need to keep going. But if your efforts don’t generate the expected results, you might want to introduce some tweaks into your strategy. You can polish your content, define new segments, or improve your special deals to better reconnect with particular customers and visitors. Remarketing and analytics, the strong tag team in your marketing arsenal, are still gathering steam. Evolving trends in user behaviors and tendencies combined with new technical innovations are driving retargeting strategies. Has this one post provided you with exhaustive knowledge on the topic? Of course not, we’ve only scratched the surface. But we’re confident that you can learn a lot from the things we’ve covered here. If you have any questions or comments, we’re ready to talk.